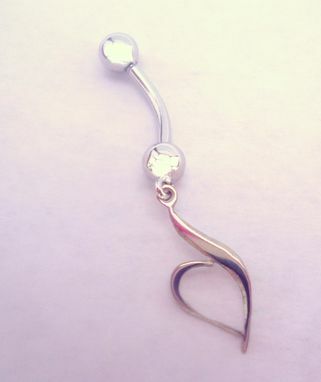 Have a belly ring made with the symbol of your favorite organization, in any color, shape, and size! 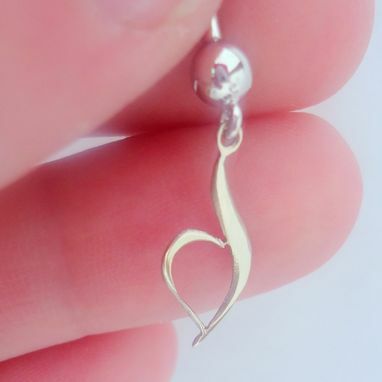 This client wanted a white gold belly ring for his daughter with a charm based on the symbol for the National Eating Disorder Association. 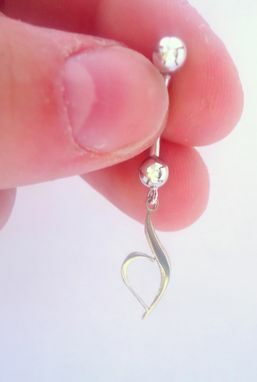 He wanted it to be polished and have a high degree of detail, being true to the symbol, while also being a proportional size to the belly ring. I purchased the white gold ring and made the charm from a white gold sheet, filing the edges to a bevel. The client loved it and now we are working on matching earrings!